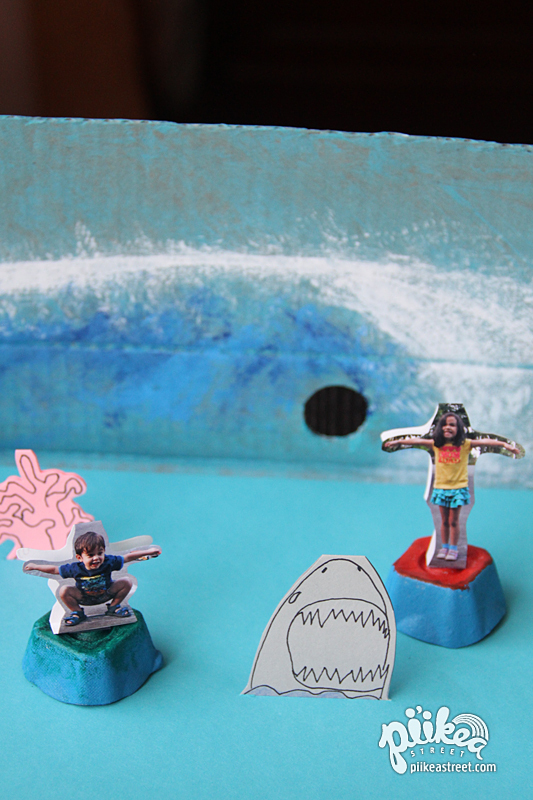 Surfer Toy | Pi'ikea St.
Surf’s up dudes and dudettes! 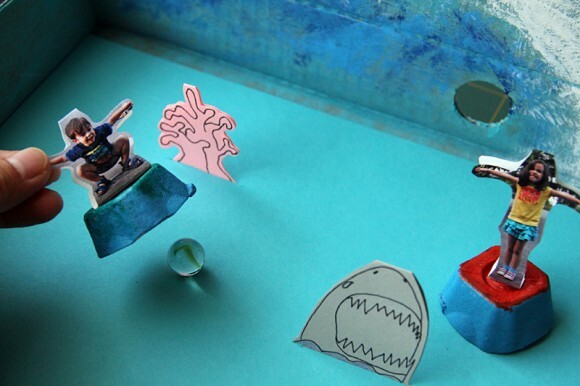 In this tutorial you’ll learn how to create some itty-bitty rolling toys to surf in a mini ocean arena. 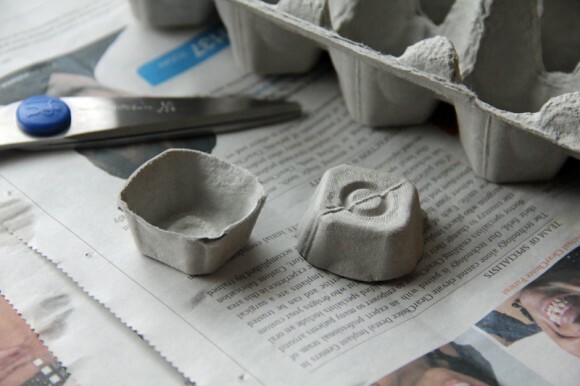 First cut out an egg holder from a carton. Decorate the holder with paint and allow to dry. 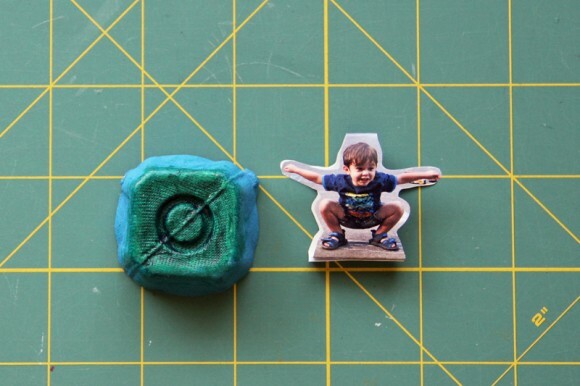 Next, cut out a photo (or drawing) of your child. This works well with photos of your child standing or squatting. Leave a small tab below their feet so you have somewhere to tape it down. Tape or glue the photo to the top of egg holder surfboard. 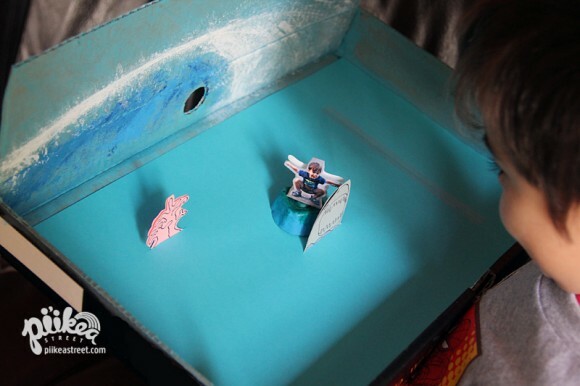 Then decorate a flat box using construction paper and paints. Add some obstacles like rocks and coral. Place a marble in the ocean arena and place the surfboard onto it. To surf around, slightly tilt your arena left or right. But be sure to watch out for the sharks!